Each year, The London Free Press runs a contest called “The Best of London”. There are scores of categories that range from restaurants to plumbers, from photographers to kennels, from pizza shops to optometrists and the list goes on. The public is encouraged to vote for their favourite in each category. 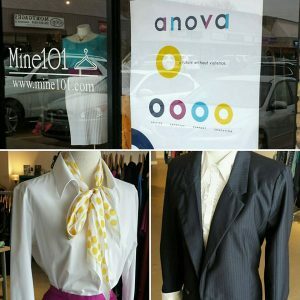 We at Mine101* (and Anova) are so excited to have received the Runner Up in the category of “Best Kept Shopping Secret” in London through The London Free Press, “The Best of London” 2017. This award is tabulated by popular public vote, so a very BIG thank you to everyone who voted! 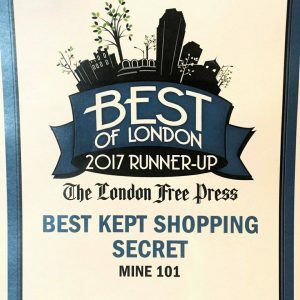 As excited as we are to receive this award, we no longer want to be kept a secret, so please continue to tell your friends and family about the great deals at Mine101! See you around the racks! Grand House Party – Tickets Now on Sale! Women’s Community House (WCH) is committed to providing people with disabilities access to agency programs and services in a manner that respects their dignity and independence. Stay up to date with the latest news, developments and ways you can help.